Traumatic brain injuries cause by various types of accidents can have devastating and potentially life altering effects on the victim and their family. With head trauma considered as one of the major causes of death and permanent impairment, having an experienced personal injury legal team on your side is crucial when it comes to ensuring that you receive all of the medical treatment, benefits and compensation that you're entitled to by law. The effects on motor and cognitive functions of the victim can result in the requirement of extensive medical treatment and prolonged rehabilitation as well as potentially lifelong impairments. Injuries of the spinal cord can result in paraplegia, quadriplegia and loss of fine motor skills, all of which has lasting impacts on the lives of the victim and their family. Spinal cord injuries are notoriously difficult to diagnose and treat which makes caring for the injury victim a full time job. There may be certain modifications needed to be made to domicile in order to assist the injury victim with their daily tasks and assist with mobility. Furthermore, the psychological ramification of dealing with such an injury may require counselling in order to be able to make that difficult transition. Victims of spinal cord and traumatic brain injuries may require round the clock care as well as various home modifications, modalities, followed by rehabilitation with the hopes that the victim can get as close as possible to their pre-accident state. 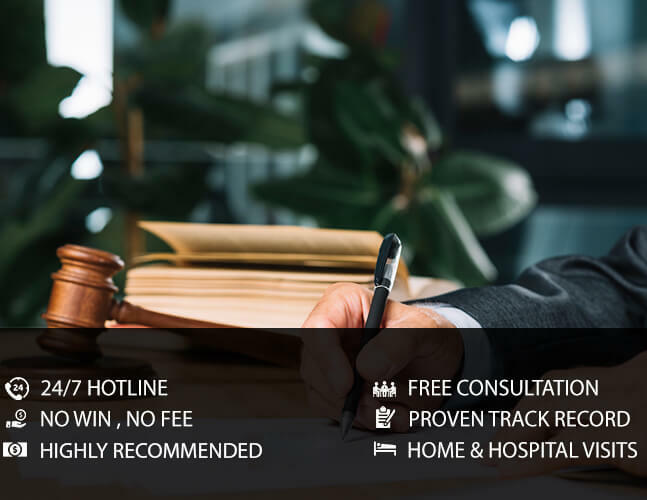 The legal experts at EBIL Personal Injury Lawyer have represented victims that sustained these catastrophic injuries and have successfully recovered millions of dollars of compensation for the injury victim and their families. If you or someone you know sustained a spinal cord or brain injury in Windsor, Kanata or Owen Sound, contact EBIL Personal Injury Lawyer as soon as possible for a free consultation and we will ensure that you know what your rights and entitlements are, what we can do for you as a firm as well as provide you with valuable information and advice. Call us today and protect your rights.